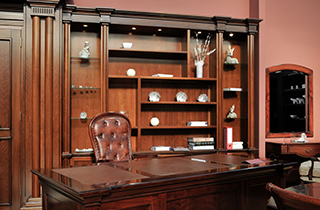 One Stop Cabinet Shop Custom Furniture and Kitchen LLC has 30 years of design and carpentry experience. I am committed to doing the job right the first time. is committed to creating unique furniture. you will be entirely satisfied with the result. Are you tired of looking at your same old cabinets or furniture, but are discouraged by the daunting task of searching for new ones? Avoid the hassle of window shopping and choose One Stop Cabinet Shop Custom Furniture and Kitchen LLC in the Fort Lauderdale, FL, area to create your very own kitchen cabinets, bathroom and bedroom vanities, and so much more. Your kitchen is the center of your home. If your storage space is too limited or if it makes your pots and pans inaccessible, your ability to work in the kitchen is severely hindered. Let me design your cabinets to ensure both the beauty as well as the functionality and convenience of your kitchen cabinets. 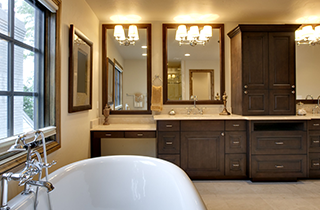 Your bathroom vanity is only helpful to you if you have enough space to get ready in the morning, especially if both you and your spouse have to leave the house at the same time. Allow me to design your bathroom or bedroom vanities to maximize storage space as well as prevent the possibility of overcrowding the room. Do you want to redo your kitchen, but do not have the financial means to replace your cabinets? I specialize in refacing cabinets, so you can give your kitchen a new look without emptying your bank account. Don’t spend countless hours searching online or in department stores just to find furniture that is either the wrong size or in the wrong finish. 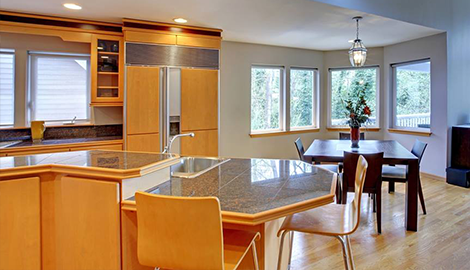 Contact One Stop Cabinet Shop Custom Furniture and Kitchen LLC today to learn all about your options in creating kitchen cabinets, vanities, and so much more.